I can't believe this was 12 ½ years ago. My set up in 2004 Pre97 bumper & ends match the cut of the fender. 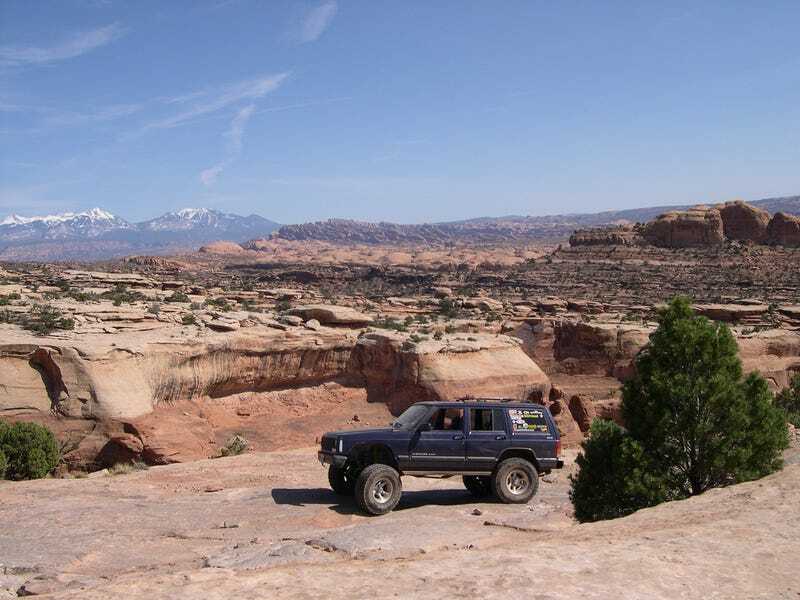 Moab, UT. A trip with a few people from StL and Michigan. I believe this would now be illegal there as the wheels don’t have a cover / are sticking out from body.